Since its inception in 2000, following three years of Research and Development, the vision guiding Vivier Pharma has not changed. 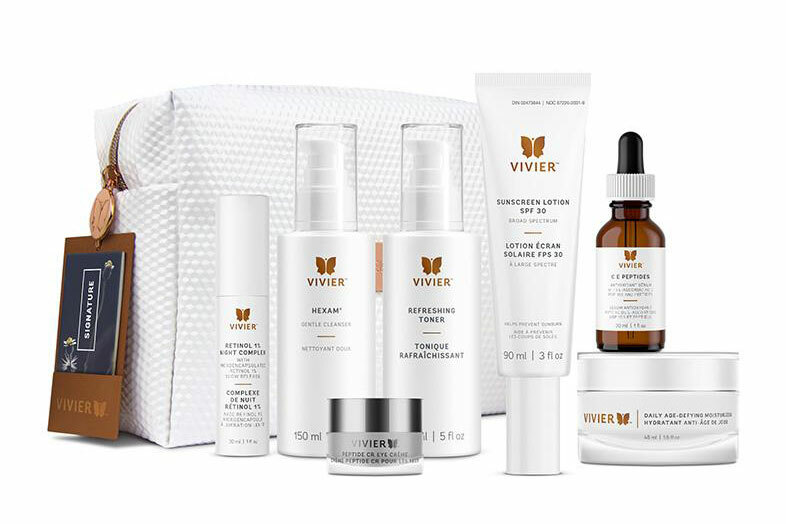 Lead by Jess Vivier, founder and CEO with over 30 years of experience in ethical and cosmetic pharmaceuticals, Vivier Pharma is an innovative pharmaceutical company committed to providing superior skin care solutions that change people's lives by delivering results. Vivier Pharma's success is attributed to its unmatched commitment to providing quality products, offering quality service and building a team of quality people who share Vivier Pharma's vision. Your luxurious Signature Program includes seven full size pharmaceutical grade products in an elegant cosmetic bag: HEXAM™, Refreshing Toner, Platiné Peptide CR Eye Crème, C E PEPTIDES, Retinol 1.0% Night Complex, Daily Age-Defying Moisturizer and Sunscreen Lotion SPF 30. 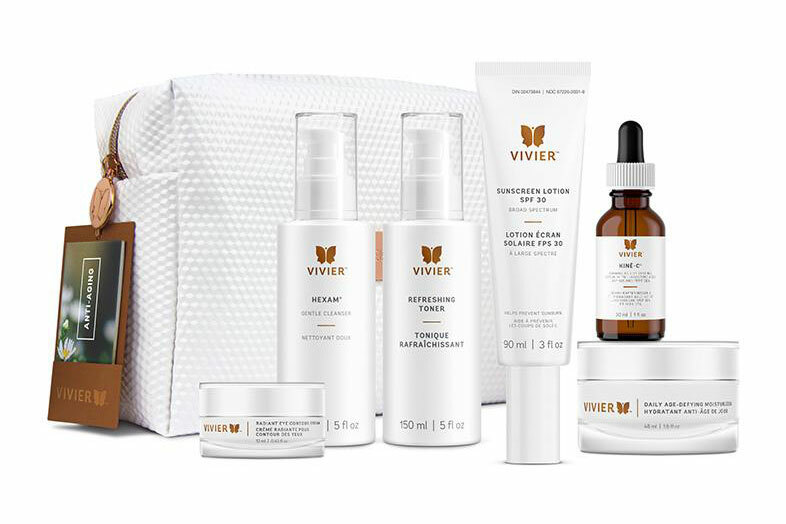 Your custom Anti-Aging program includes six full size pharmecutical grade products in an elegant cosmetic bag: HEXAM, Refreshing Toner, Radiant Eye contour Cream, Kinē-C™, Daily Age-Defying Moisturizer and Sunscreen Lotion SPF 30.